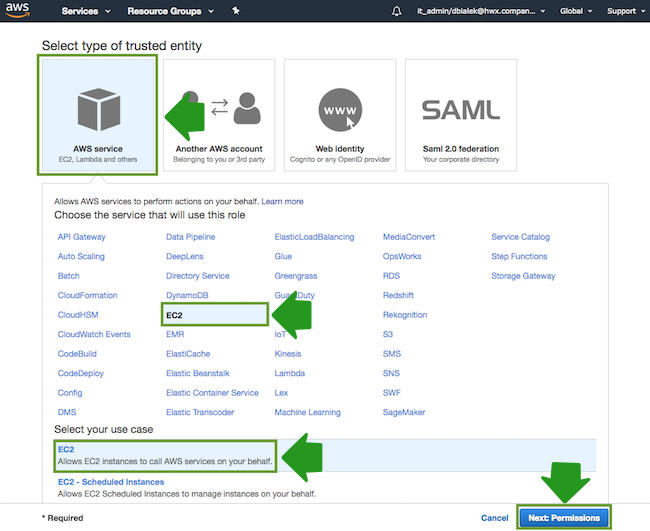 In order to configure access from your cluster to Amazon S3, you must have an existing IAM role which determines what actions can be performed on which S3 buckets. If you already have an IAM role, skip to the next step. If you do not have an existing IAM role, use the following instructions to create one. 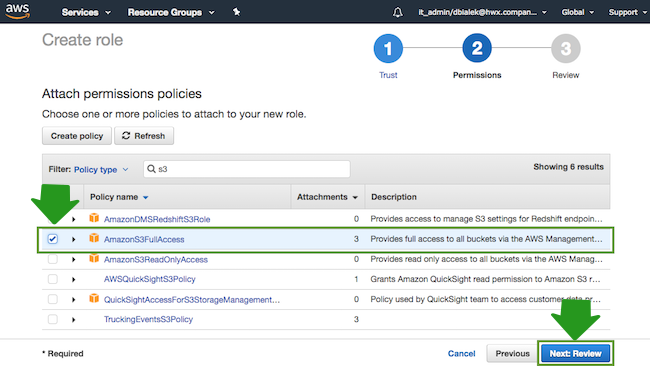 Navigate to the IAM console > Roles and click Create Role. 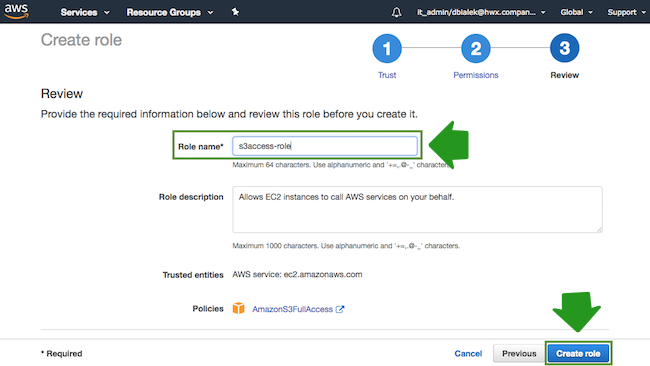 In the “Create Role” wizard, select AWS service role type and then select EC2 service and EC2 use case. When done, click Next: Permissions to navigate to the next page in the wizard. When done attaching the policy, click Next: Review. Click Create role to finish the role creation process.